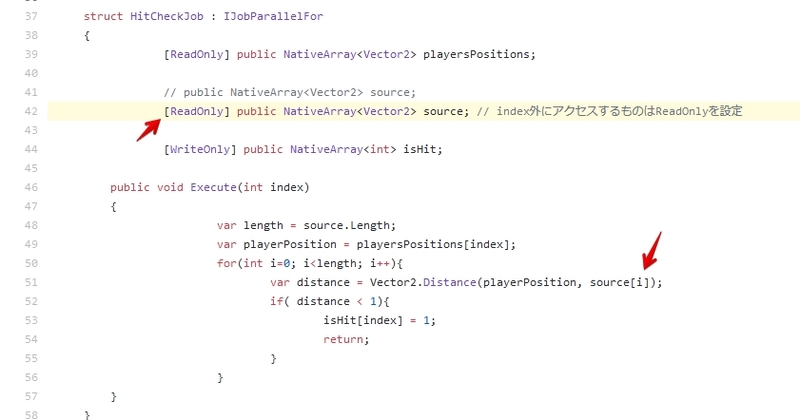 A Native Collection has not been disposed, resulting in a memory leak. nvalidOperationException: The previously scheduled job AnyComponent:AnyJobName writes to the NativeArray AnyJobName.anyfield. InvalidOperationException: The native container has been declared as [ReadOnly] in the job, but you are writing to it. InvalidOperationException: The native container has been declared as [WriteOnly] in the job, but you are reading from it. InvalidOperationException: AnyJob.anyField is not a value type. Job structs may not contain any reference types. FindObjectFromInstanceID can only be called from the main thread.